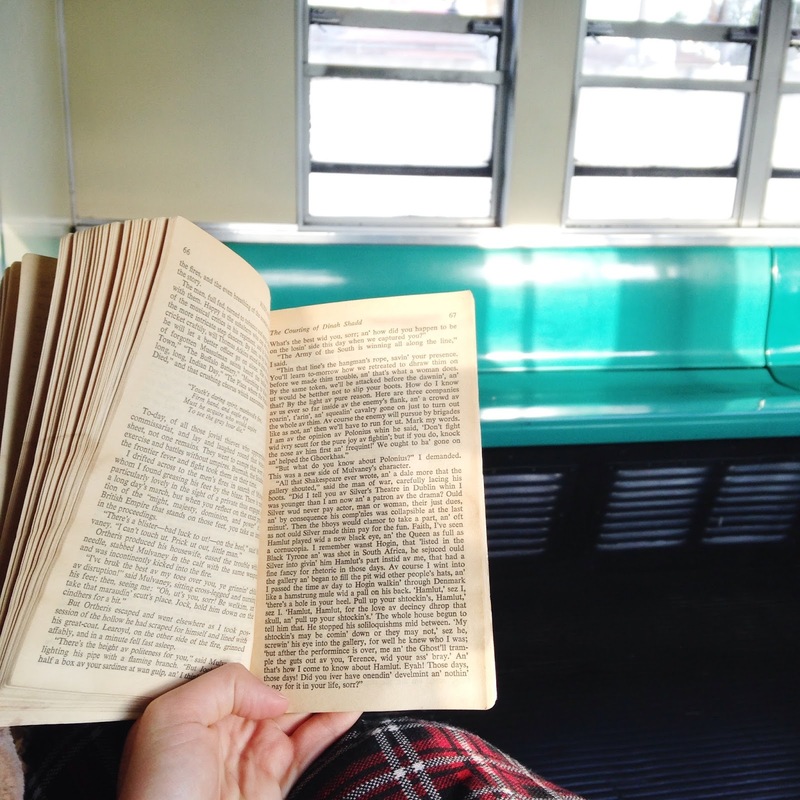 The One With a Train Ride and Random Thoughts. It’s the sunset—this magical Brazilian gold—that beckons me to fish out my notebook and pen from the pocket of my travel bag. I’m in an empty car of an empty train headed south to catch a bus further south still. It’s me, a Bantam Classic, a window cracked open, and a few lingering passengers. Where they’re going, I know not nor care. We’re headed south, that’s all. 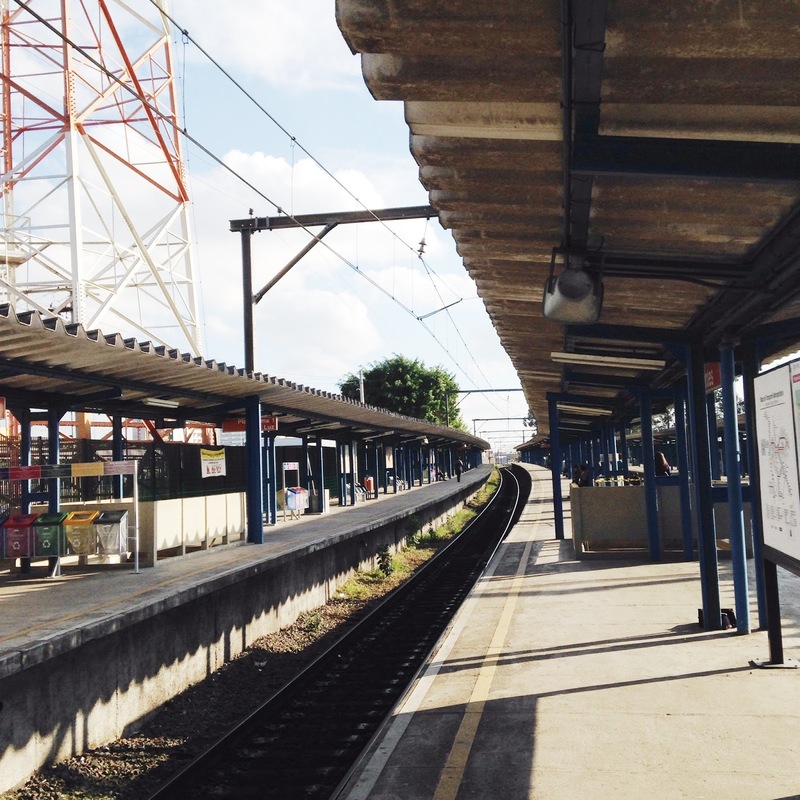 We jiggle and sway as we pull away from the Estudantes train station of Mogi das Cruzes, the city where I was born and one of my richest memory boxes. 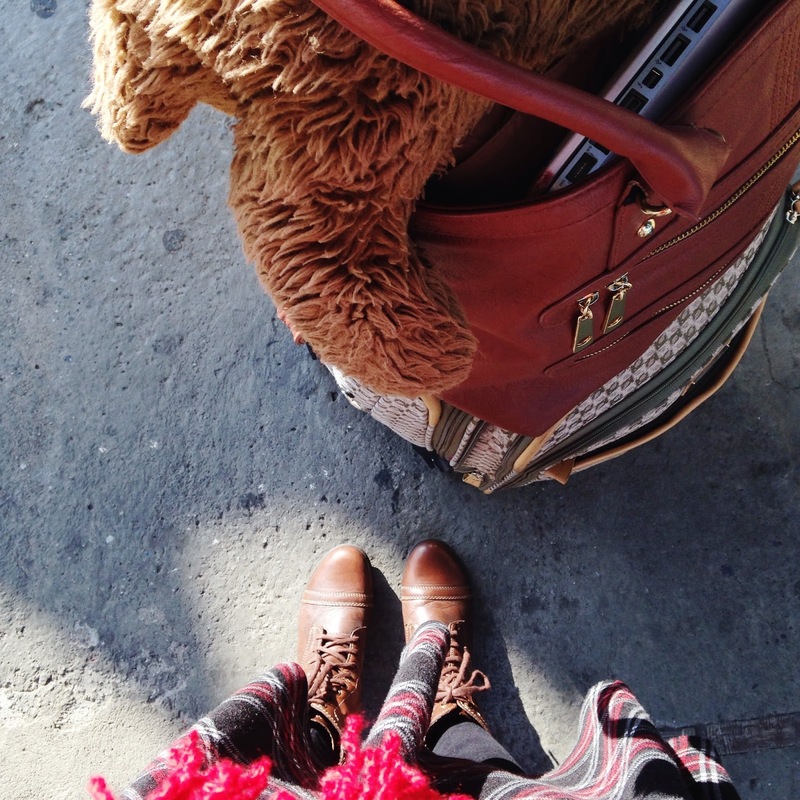 My legs are propped up on the seat­ and both my carry on suitcase and I are leaning against the wall. The sun streams into the car through squeaky windowpanes, and this position is just right. It smells of train rides in São Paulo. It’s a smell difficult to explain—not particularly pleasant, or unpleasant, distinct or subtle—except for the memories this smell perfumes. Memories of train rides so long ago and yet of yesterday. Another train rumbles past, and we gain speed, the wheels frolicking over and over, on and on. The seats are teal, the floor rather dusty, the doors worn, the windows scratched, and the car hums along accentuated by numerous squeaks originating from unexpected corners. The train hisses and the clanking progresses. We stop in Suzano, and the pungent smell of the paper factory creeps in. I don’t mind it. Not every sweet memory is fragrant. The sunbeams form comets on the tracks, always ahead. I’ll never catch up to those golden drops, always so near and possible, yet strictly unreachable. Here, then there—an illusion. A screeching halt, an exchange of cargo, a hiss, a thrust—bounce, bounce, sway. Here’s when the thoughts come, and I’m lulled into a stupor of questions and confused aphorisms. Why do we hold on so strongly to stupid, stupid pride? Of all the emotions, it brings the most humiliating results. Its only correction is its greatest fear. We stop for another passenger transfer and then move on again. The comets are still there—racing, racing, racing. “H2Oh, cold, two for two!” “Homemade, candied peanuts! One real!” Up and down the cars before sitting down while the next station passes. The walking commerce is a prominent part of Brazilian train rides. Several individuals make extra cash, or even a living, by selling snacks or random items for inexpensive amounts on the train. This form of ‘business’ has been outlawed for years, and recent attempts to halt it have increased, meaning that the sellers have become masters of masking into the public with their student farces and backpacks, inconspicuous purses, or deep pockets. I buy the peanuts. My act of defiance is to support these transient vendors whole-heartedly. The car has filled up comfortably by now. Most seats have been taken, but there are enough empty seats scattered throughout the car that I can acceptably keep my feet propped up. The sun sets lower into the surrounding hills, and I’ve almost caught up to the comets now. They’re lagging, scrambling, desperate to keep up. What, after all, is my part in this huge mess? Is living my own life in a way that doesn’t contribute to the chaos enough? If that doesn’t satisfy, then what? Satisfy whom? If it’s not about satisfying my own expectations, it will be because I’ve never figured out what those are. Time spent blaming others for imposing what they believe to be the best is wasted. Instead, figure out your role and your expectations. Outside, grey concrete buildings are covered in elaborate graffiti. Paintings are everywhere, on bridge supports, commerce fronts, street walls, the very top of apartment blocks. As the train passes by they blur together and the caricatures come alive. The breeze is cool through the window cracks. Previous Article The One With the Bus Ride. Next Article The One With the National Congress.